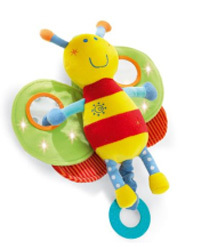 Welcome to Baby Zone Direct - Sydneys's leading Baby Shop and online Baby Store. We stock the largest range of baby products including baby strollers, baby prams, baby cots, baby furniture, baby toys, baby safety, baby gifts, valco trimode and valco glitz - all leading brands. It is our mission to be the "Best Baby Shop in Australia in terms of baby product range, price, delivery and service ". From humble beginnings Baby Zone first opened a small shop in Port Kembla in 1993. Soon after Tony Moschella and his mother Louisa established a partnership and relocated to Fairy Meadow. In 1996 Baby Zone found larger premises in Corrimal and became known for having the largest range in Wollongong. Their motto “Guarantee to beat any genuine price anytime” was quickly spreading across the Illawarra region. 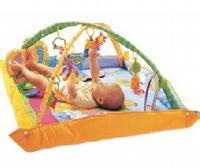 Baby Zone are very strict on what they sell and ensure that all their products meet the Australian Standards. If you require any information on a particular standard, Tony and the team will be able to help. If you need any prices on package deals or you can get a product cheaper elsewhere please send us an email to sales@babyzonedirect.com.au. We will get back to you within a few days with a fantastic price. Make shopping for your new little bubs a breeze.